The tension in the room was palpable. Dan Myers remembers it vividly. He was on Capitol Hill with a small contingent of propane representatives to discuss advancing a long-conceived industry checkoff program with a congressional sponsor. Opposing the propane group was a petrochemical lobby that intended to disparage the checkoff program and exhibit how an enactment would jeopardize one of its key feedstocks. “They explained how the program was going to kill them and that they couldn’t live with it,” says Myers, who represented the National Propane Gas Association (NPGA) as CEO at the time. Billy Tauzin, the Louisiana congressman both groups were vying to win over, sat down and responded to the petrochemical lobby plainly. The petrochemical lobbyists didn’t enjoy hearing those remarks, Myers says. But they largely quieted, realizing that pressing arguments further could compromise their interests with Tauzin down the road. Tauzin’s comments changed the meeting’s tone, creating an opening for propane advocates to offer solutions to move the checkoff program forward. One advocate, Daryl McClendon, presented a solution that put many minds in the room at ease. At the time, the petrochemical lobby feared a growing propane motor fuels market would cannibalize available gallons. McClendon suggested limiting the dollars spent promoting propane to the size of markets. Without McClendon’s voice – on that day and in the years leading up to the passage of the Propane Education and Research Act (PERA) of 1996 – the Propane Education & Research Council (PERC) may never have formed, Myers says. That meeting leading up to PERA is just one example in which McClendon served to the benefit of the propane industry. Yes, McClendon was a key contributor in the establishment of PERC, but his voice was one that continuously made a difference in matters of great interest to the industry. McClendon also had the unique experience of working on both coasts and for Pargas and Suburban Propane, two of the most prominent retail companies in the industry’s history. McClendon’s career started in 1965 with Pacific Gas & Electric, a northern California company. He entered the propane business in 1968 with Pargas after a recruiter sold him on personal growth opportunities at the company. “I couldn’t even spell propane at that time,” McClendon jokes. Yet, McClendon experienced just about every propane job imaginable at Pargas. He dug ditches, filled cylinders and drove bulk trucks throughout northern California. McClendon’s career took a next step after Pargas acquired Pacific Delta Gas. Among McClendon’s Pargas responsibilities to come was management of supply and distribution for the West Coast. Pargas increased McClendon’s responsibilities at the height of allocation controls on propane in 1973. That year, McClendon was asked to take over supply and distribution for the company. The promotion took him to the East Coast, where he served Pargas as a manager – and later a vice president – of supply and distribution. McClendon transitioned to Suburban in the mid-1980s amid its acquisition of Pargas, joining the company as a vice president and division manager. A couple of years later, McClendon took over the mid-Atlantic region for Suburban. Later, McClendon became a senior vice president of supply and distribution at Suburban. His Suburban days ended in 1994 when he joined Superior Propane and Skelgas. McClendon formed his own consulting service, DFM Enterprises, in 1995. He later spent a few years at Platinum Propane, a Blue Rhino distributor. McClendon also consulted Blue Rhino on his own, playing a pivotal role in launching the cylinder exchange business throughout the United States. In addition to his roles with propane marketers, McClendon continuously showed devotion to causes that affected the industry. He was well-respected within NPGA circles because of his ability to bring people together. As an example, Bissell points to the role McClendon played as adviser during a contentious time within the industry. Bissell, who became association chair during this period, heeded advice from McClendon that helped him lead on the issue. The creation of the task force proved critical in making final decisions, Bissell adds. McClendon’s counsel proved influential to PERC, as well. But McClendon, who served as PERC’s second chairman from 1999 to 2001, wasn’t always confident about the PERC concept. As McClendon was moving up the officer ranks in the mid-1990s at NPGA, he realized the industry expected him to make a personal decision about the checkoff program. So, McClendon embraced the checkoff concept. Daryl McClendon is a consensus builder who guided major marketers was voice of reason for the industry at pivotal moments. McClendon also convinced key marketers to embrace the concept. He helped select and organize PERC’s inaugural staff members, and he stood up for the industry in the key meeting with Tauzin and the petrochemical lobby that forged PERA ahead. 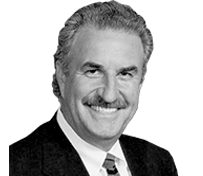 Fortunately for the industry, Tauzin backed propane and PERC was ultimately formed.